Q: These gifts are cool and all, but the personalized chocolate card is so teeny-tiny. Have anything more, you know, impressive? A: Look no further. 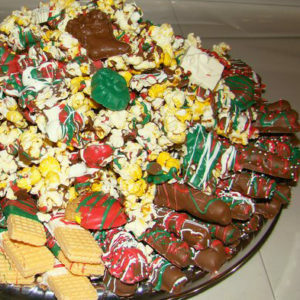 The Deluxe Portrait and Truffles gift is exactly what you need. 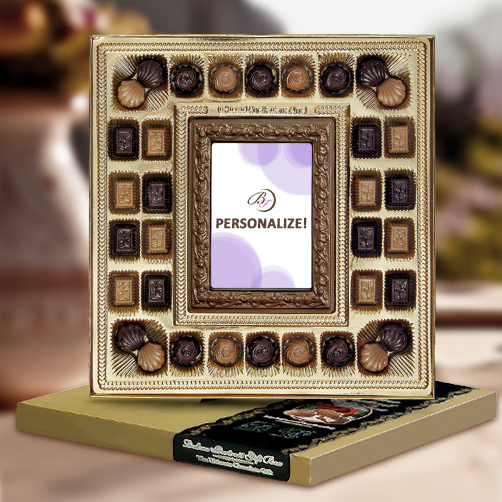 Your personalized chocolate photo and/or message is printed large and in charge, then surrounded by 34 truffles in assorted flavors. Includes a 6×8 chocolate portrait with your message or photo, and 34 truffles in assorted flavors.